Overby Center program asks: Are Centrist Politics Doomed? At a time when American politics seem hopelessly polarized, a pair of prominent figures from the two major parties discussed the prospects for more centrist views at the Overby Center for Southern Journalism and Politics’ program in April. Stuart Stevens, a native Mississippian who managed Mitt Romney’s presidential campaign in 2012, and David Baria, a Democratic leader in the Mississippi legislature, were guests in a conversation that included Charles Overby, the chairman of the center, and Overby Fellow Curtis Wilkie. Both Overby and Wilkie have long experience covering national politics as journalists. The event was held in the Overby Center Auditorium on the Ole Miss campus. Like all Overby programs, was free and open to the public. The program represents a return engagement to the Overby Center for Stevens, who has previously appeared to comment on American politics and to talk about his book, “The Last Season,” in which he wrote of accompanying his aging father to a complete season of Ole Miss football. Though a major player in national Republican circles, Stevens has become a fierce critic of President Donald Trump and his style of divisive politics. During his tenure in the Mississippi House of Representatives, Baria, an attorney with offices in Jackson and the Gulf Coast, has become one of the Democratic Party’s most respected members in the legislature. Last year he served as the party’s nominee in an unsuccessful bid for the U.S. Senate seat held by Roger Wicker. A Meek School alumnus has been named deputy White House press secretary. Check out this story by The Daily Mississippian about J. Hogan Gidley, 41, of South Carolina, who is a 1998 graduate of the University of Mississippi with a degree in broadcast journalism and minor in political science. Media outlets have reported that White House Press Secretary Sarah Huckabee Sanders has confirmed Gidley’s position in numerous press reports. See the NewsWatch video here. 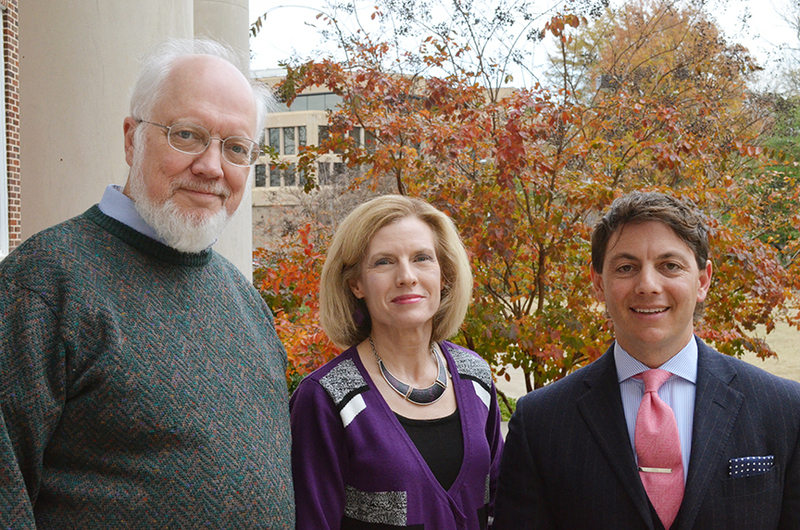 Gidley is pictured below with Meek School faculty members Senior Lecturer in Journalism Robin Street and Dr. Jim Lumpp. He returned to the Meek School to speak to students several years ago. David Shribman, the Pulitzer Prize-winning executive editor of the Pittsburgh Post-Gazette, was the featured guest in the first of this fall’s election-year programs at the Overby Center for Southern Journalism and Politics at the University of Mississippi on Friday, September 7. A nationally syndicated columnist and a frequent analyst for BBC Radio, Shribman joined Charles Overby, chairman of the Overby Center, and Overby Fellows Bill Rose and Curtis Wilkie in a conversation about the 2012 presidential campaign and American politics in general. Overby, Rose and Wilkie covered national politics for years as journalists for major newspapers. 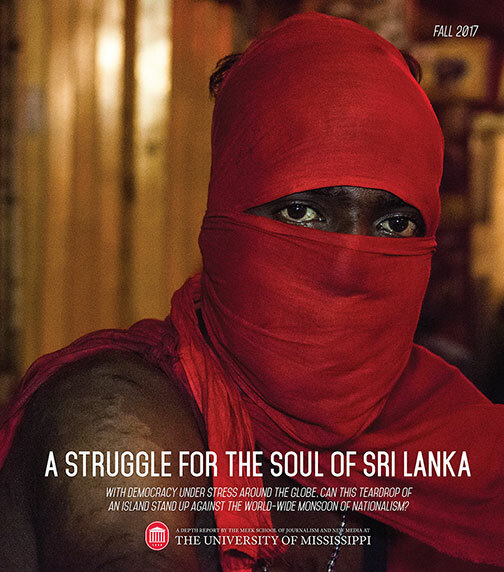 Shribman has followed national politics for more than 30 years. He began his career with The Buffalo Evening News and quickly moved from a city beat to become a member of the newspaper’s Washington bureau. He later joined the national staff of The Washington Star. After the Star ceased publication in 1981, Shribman covered American politics for The New York Times and then became a national political correspondent for The Wall Street Journal. He was hired as Washington bureau chief for the Boston Globe in 1993. While at the Globe, Shribman won the Pulitzer Prize for his coverage of Washington and the American political scene. In 2003, he became executive editor of the Post-Gazette. He lives in Pittsburgh with his wife, former Washington Post columnist Cindy Skrzycki, and their two daughters.